Law degree, Escuela Libre de Derecho; Master’s in International Affairs, University of Columbia Graduate School of International and Public Affairs. 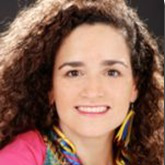 Partner at SAI Law & Economics (Mexico); Senior Fellow, ICTSD; Member, World Economic Forum’s Global Agenda Council on Trade; Founding member, Mexican Council on Foreign Affairs. Former: Senior Fellow of the Center of Interamerican Studies, Instituto Tecnológico Autónomo de Mexico (ITAM); Undersecretary for Foreign Trade, Ministry of Economy, Mexico; Partner, SAI Consultores; Head, International Trade Law Practice Group; Director, Legal Analysis at the Office in charge of negotiating the North American Free Trade Agreement (NAFTA); Legal Advisor, Ministry of the Interior, Mexico.